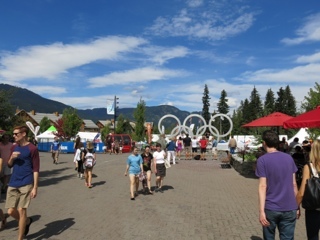 My wife and I spent last weekend in Whistler. During the snow season I'm told the village and mountain is flooded with skiers and snow boarders. 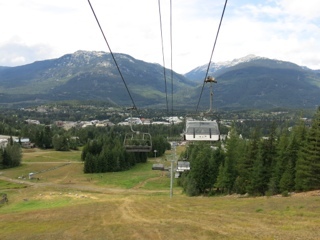 During the Summer months, like now, it's full of tourists and mountain bikers. The temperature in the village itself was very pleasant shorts weather during the day, while at night it did drop a couple of degrees but was still great. White was still visible on some mountain peaks although it's possible this was glacial. Cherry (who we are currently staying with in Vancouver, Canada) organised the accommodation, and transport was via Greyhound which took just over two hours and provided different scenic vistas almost for every bend in the highway. 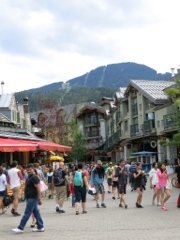 While in Whistler we spent heaps of time hiking, walking around the village shops (along with hundreds of other tourists), watching the mountain bikers ride around the mountains and catching a few sights. 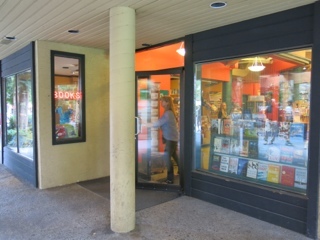 There was also one book shop in Whistler Village - Armchair Books. 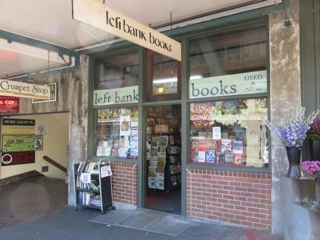 This store carried heaps of new books. 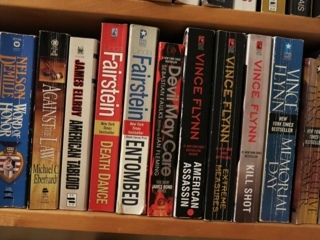 There was also one Bond novel, Faulk's "Devil May Care" which I already had. 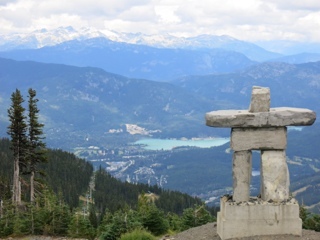 So no luck on the Bond front, however I did manage to grab these snaps from in and around Whistler. 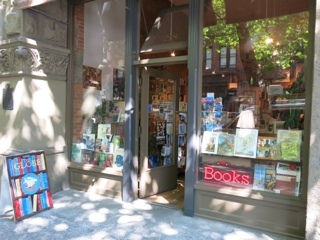 On the return walk to our hotel after visiting Pike Place Market in Seattle we stopped at Arundel Books. 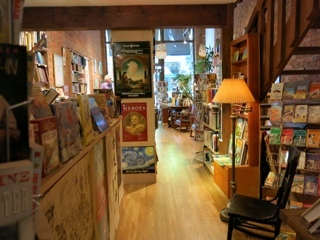 Arundel Books is located on 1st Avenue South very close to Globe Books from my previous blog entry. 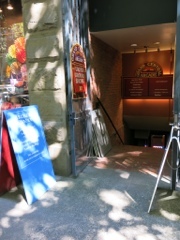 The store is down some stairs below street level. 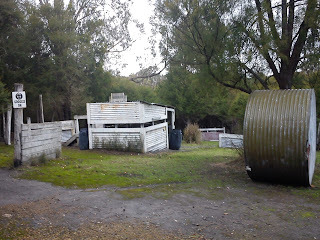 When we arrived the owner was just locking up for the day but was happy to reopen for me. 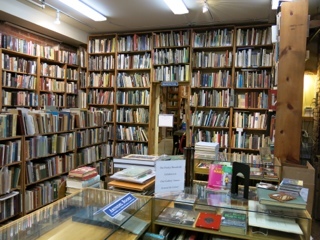 This store has many fine and antique books, and upon checking their computer inventory the owner explained he had sold plenty of Bond paperbacks and hard backs in the last five years however currently had none in stock. Just before I left to allow the owner to lock up again he mentioned another book store in the same building but at the rear. 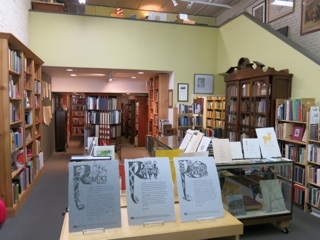 So my wife and I went up another flight of stairs and found Wessel & Lieberman Booksellers near Occidental Park. 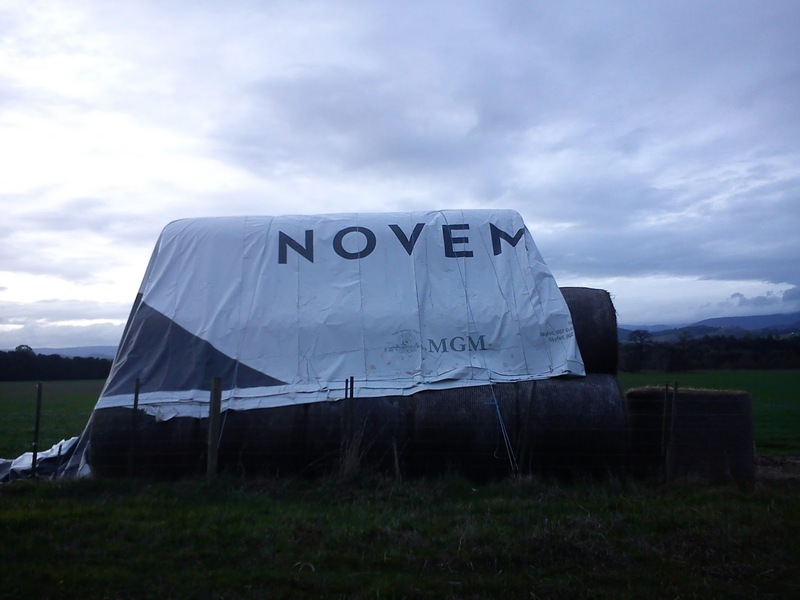 Fortunately this store was still open. 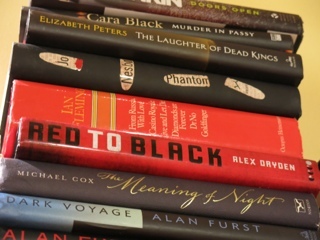 Fearful of the owner closing, as soon as I entered I immediately asked if he had any Fleming. He directed me to the appropriate section of the store where I found a second edition hard back of Fleming's "Thrilling Cities" published by Jonathan Cape. I didn't buy it though. The next day in Seattle my wife and I continued exploring the city. 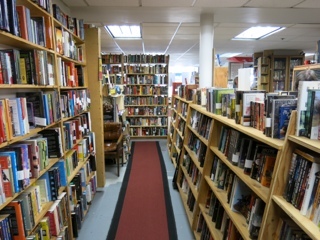 We found a couple more book stores but none carried second hand Bond paperbacks. 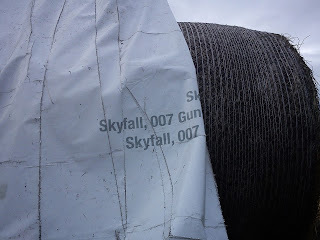 It seems Bond isn't easy to find in Seattle ! 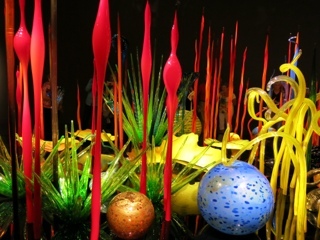 We also visited the glass garden exhibition at the base of the Needle. 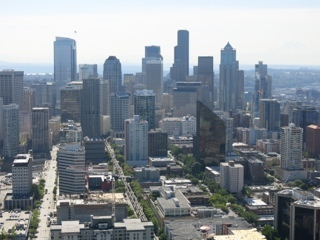 If you plan on visiting Seattle soon I can definitely recommend this. 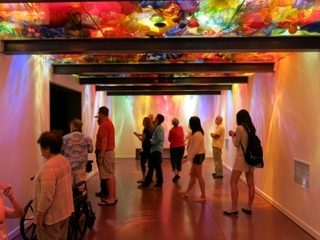 The glass art exhibits were fantastic and I'd hate to think how long most of them would have taken the artist to create. 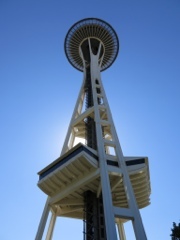 My wife and I have just returned to Vancouver, Canada after an overnight stay in Seattle, USA. 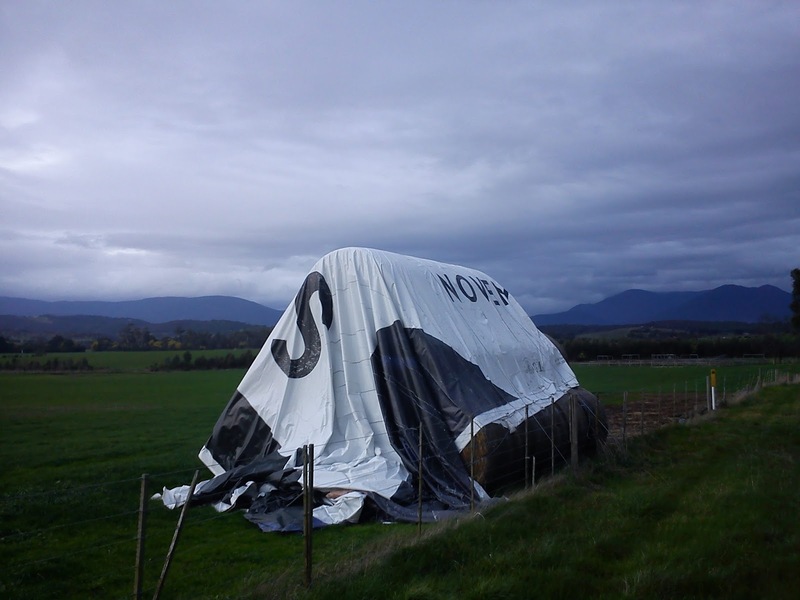 We caught an early morning Greyhound bus, the journey taking just four hours. 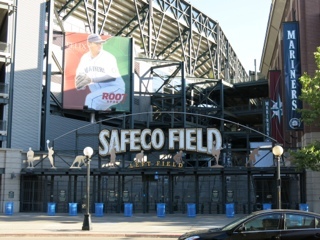 Once in Seattle we walked about 40 minutes until we found our hotel near the grid iron and baseball stadiums, passing a few book stores along the way. 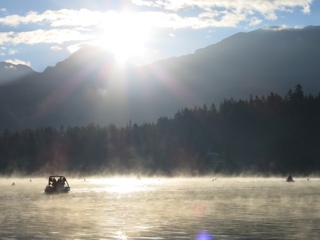 The temperature was a very pleasant 22C. We checked in at our hotel, unpacked, had a drink and then went for another walk to explore the city. 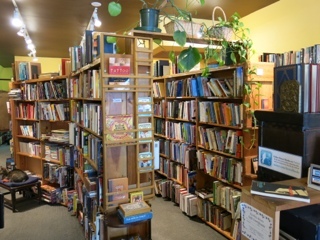 Our first stop was Globe Books. This split level store is great and the owner very friendly. 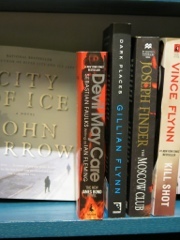 This copy of Faulk's "Devil May Care" was the only Bond they currently had in stock. When I went to ask the owner if he had any other Bonds hidden away somewhere else in the store he was explaining to a customer before us where other book stores were located in the city. I listened intently. Very handy! 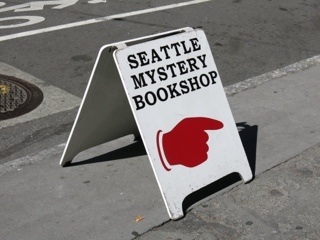 Skipping a few book stores close by because we knew we could easily return on our way back to the hotel, the next store we visited was Seattle Mystery Bookshop. 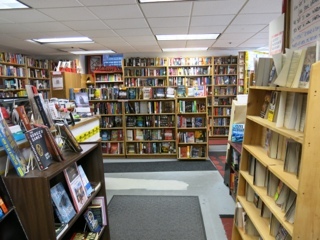 As soon as I walked in and saw books by familiar crime and thriller authors, with sections even dedicated to Agatha Christie and Sherlock Holmes, I knew this store was going to be promising. 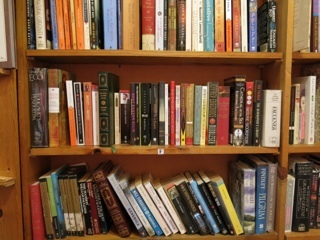 This store has many quality new and second hand books. There's even a few thin column bookcases of early American pulp novels near the front counter similar to the Popular Library and Perma Books Bond covers, but there were no Bonds among them. 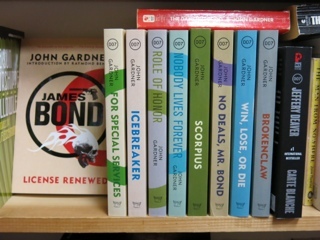 After asking, one staff member guided me to the Bond novels they had in stock. They had the current full collection of the Dan Mogford Pegasus Gardner books on the shelf, and a Deaver, but no older covers. 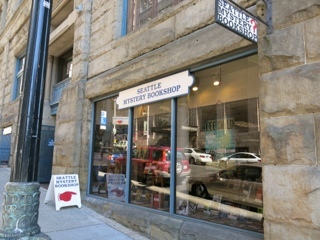 Seattle Mystery Books can be found on the web at www.seattlemystery.com and they have the most amount of books signed by the author I have ever seen in one store. 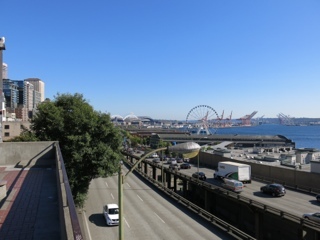 My wife and I then walked to the Pike Place Market. 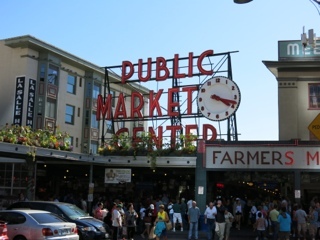 This famous Seattle market overlooking the glorious bay and docks is huge and has everything you can imagine, from tourist souvenirs, to fresh seafood, to paintings, to fruit and vegies, and the very first Starbucks. It also has two second hand book stores. 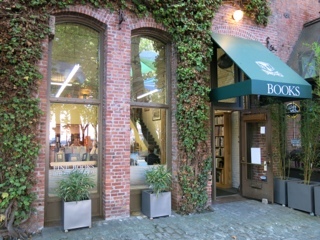 The first, Left Bank Books unfortunately had no Bonds. The second though, Lamplight Books, had a very friendly owner who showed me the only Bond she had in stock, an Ian Fleming hardback omnibus. 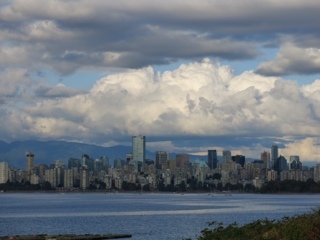 If you're not already aware my wife and I are currently on holiday in Vancouver, Canada. We first visited a local supermarket where we grabbed some roast chicken and salad for our picnic under the stars, and then caught a bus to the City. The trip took about 15 minutes and we were there. With the sun setting we quickly ate our dinner on the grass. 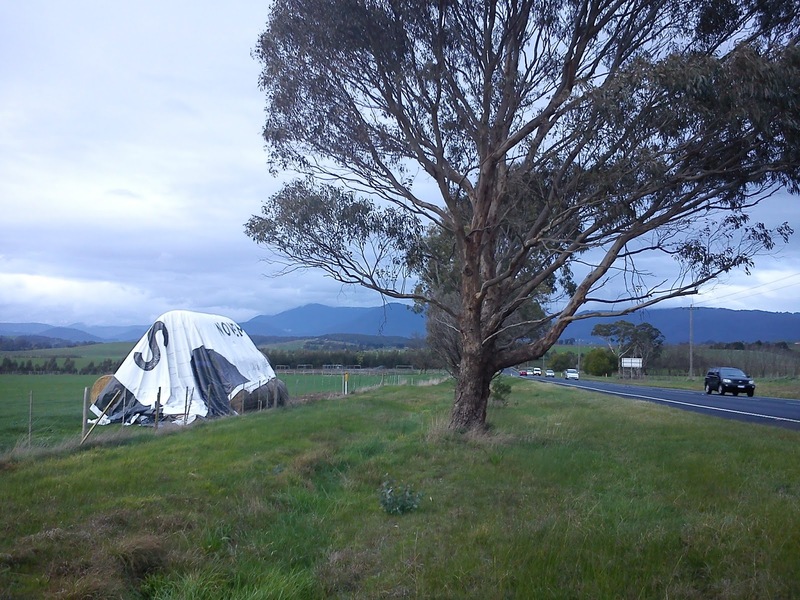 People were still turning up with their fold-up chairs and picnic rugs while we ate, and as the sunlight dimmed. Soon enough it was time for the film to begin. 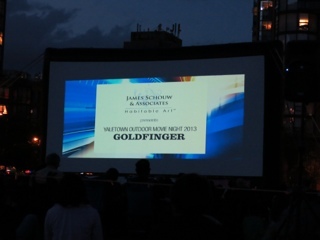 And the film was the 1964 classic "Goldfinger". 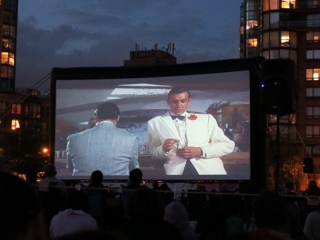 The amazing thing is there are only one or two films shown every year in this park, all sponsored by businesses in the area, so we were fortunate for it to have been a Bond film. 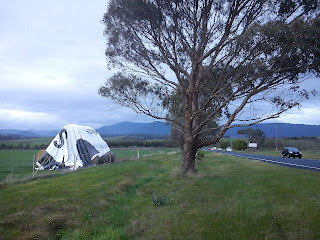 I did manage to grab a few snaps before sitting back and enjoying the night. Many I suspect had never seen this film before, including my wife. People were laughing at the jokes, and the corny lines. 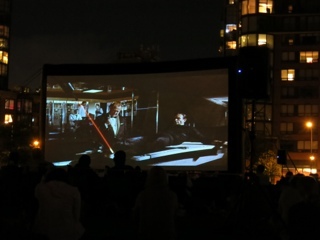 But they were also 100% watching the film and the atmosphere was great. And when the film finished everyone clapped and made their way home. Great night ! 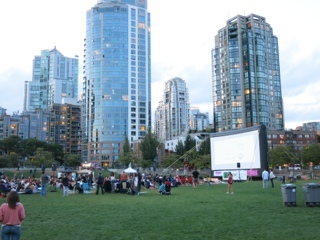 Thanks to the event sponsors Yaletown and James Schouw & Associates, whoever you are ! 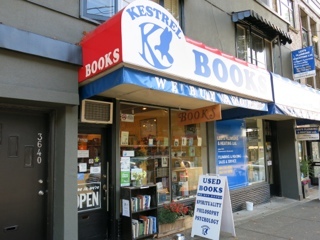 I passed Kestrel Book Store yesterday on our first walk around Vancouver. Today I paid them a visit. 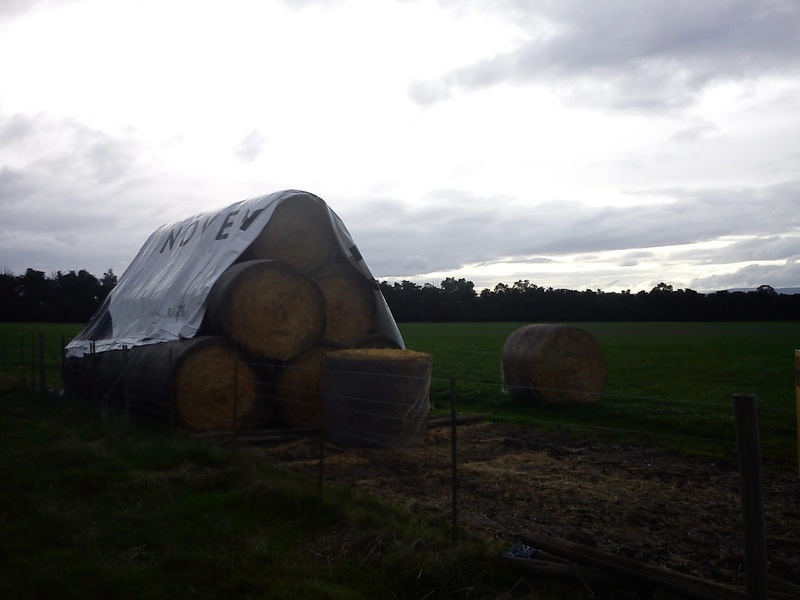 I searched the shelves first and then asked the owner, Ron, if he had any Bonds but alas no. 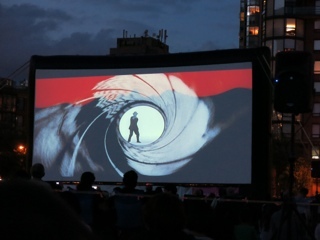 He explained that ever since the release of "SkyFall" the Bond novels have been in great demand here in Canada. Here's some pics of his store. 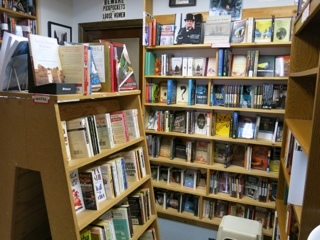 It's a really well organised store and also carries an eclectic mix of books, some signed by the author. 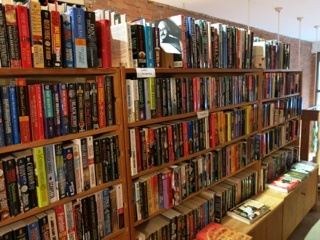 When I visited there were a number of other customers and I was pleased to hear Ron say he's doing ok despite the reducing number of second hand book stores in the city. My wife and I have just started our holiday. 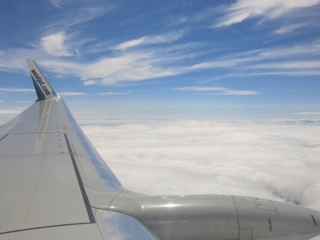 And after a 13 hour flight, 5 hour wait at LA airport, and then 2 and a half hour flight from there we are now at our first stop, Vancouver, Canada. Ok, 6 countries isn't a true world tour and I won't be spending every day looking for books, but I'm calling it a World Tour Book Hunt anyway. 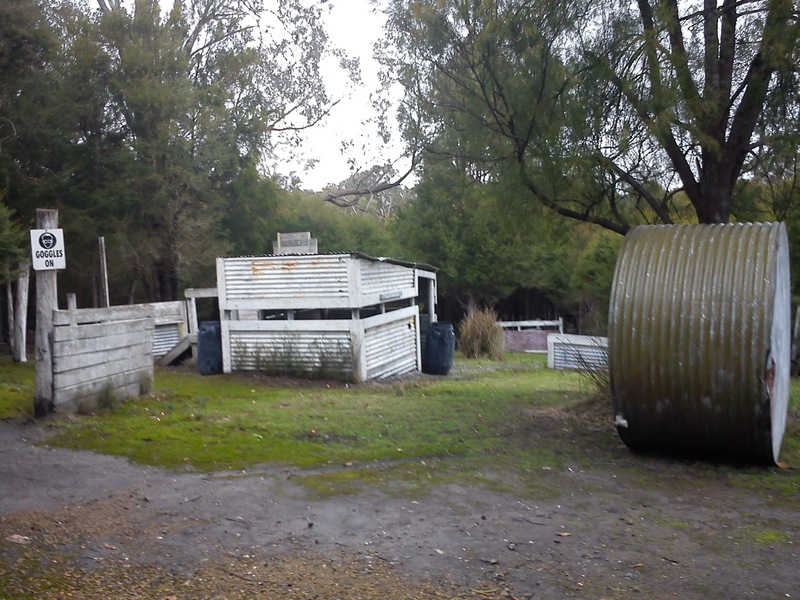 Here's some pics so far. 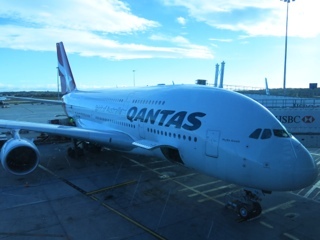 Our plane from Melbourne - an A-380. 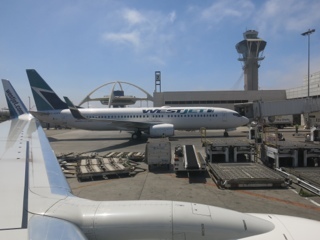 About to depart from LA airport. 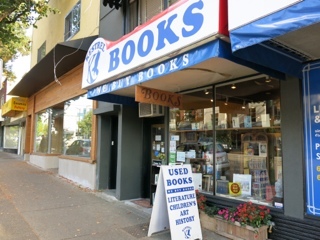 My wife and I, along with Cherry our Australian/Canadian host, went out for a walk to the beach and along the way I took this pic of the first book store I saw. I didn't get a chance to visit but there's plenty of time as we're here for 14 days before our next stop. 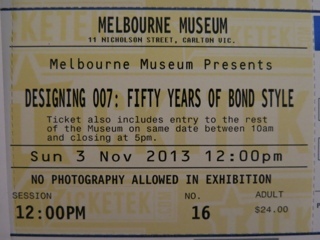 My wife and I received our tickets for the "Designing 007" exhibition today in the post. 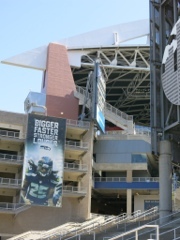 Ok, my wife isn't really thrilled about going but she still agreed to go which was good. 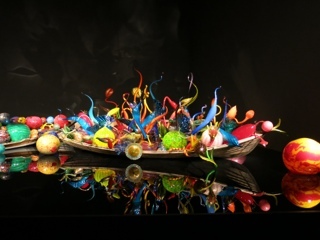 The exhibition appears to be great so I'm really looking forward to it. 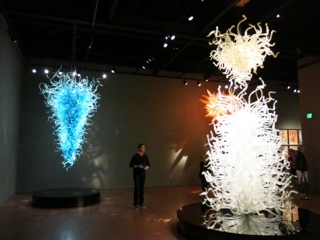 It opens in Oz on November 1 at the Melbourne Museum. My wife and I will be attending two days later.